The web is an unorganized place, but with the help of a directory, it is easier to find reputable information on psychiatric disorders and services provided by clinicians in the field. If you need authoritative facts on diseases, conditions, diagnoses, and explanation of behavioral treatment techniques, consult one of the seven expert directories listed here. This directory is maintained by a clinical psychologist and includes updated links to resources both for mental health care providers and the general public. The site lists a comprehensive psychology reference guide. For quick access to specific topics, such as Prevention of Depression and Anxiety, use the quick reference guide. It’s organized according to category and includes topics such as current trends in cyberpsychology as well as policy concerning ethical issues in the social sciences. One of the web’s largest directories, DMOZ (The Open Directory) has an open source directory for Mental Health Resources. Each category is a link to a sub-directory under the major heading of “Health.” It allows you to find specialized information on news, statistics, professional resources, and grief, loss and bereavement resources. Links to patients’ rights and policy research organizations in psychology are provided as well as weblogs written by experts and support groups for behavioral therapy. 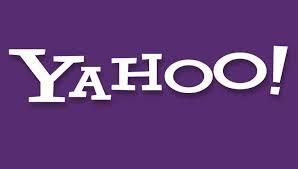 Yahoo has an expansive directory of resources. It even features a directory of web directories. Educate yourself on the history of mental hospitals, and trace the etiology of diseases and conditions. 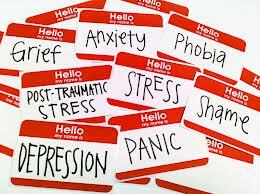 To alleviate the unfortunate stigma sometimes associated with psychological disorders, Yahoo! also lists case studies of personal experiences of people suffering from schizophrenia, postpartum depression, and paruresis. 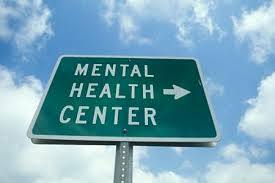 To promote discussion, also check out the talk forums on bipolar and self-help. Clean and organized, this site emphasizes education as growth and provides a convenient listing of treatment centers for substance abuse and emergency support call centers. The site is more than just a directory. The home page features special topics and current news in psychology. And since it is a combination of web directory and easy-to-read articles on all things psychiatric, it’s a convenient one-stop destination to find out early signs for substance abuse in addition to coping with addiction. For a quick desk reference and an alphabetized list of helpful links, use Refdesk’s Mental Health Directory. Not as in-depth as other directories, the purpose of Refdesk is to provide quick, accessible facts and statistics, as well as a plentiful section on suicide prevention and awareness. For a directory created by professional librarians, the Internet Public Library has a useful Health and Medical Sciences directory of resources. Librarians work hard to provide trustworthy resources. The IPL’s section on mental health organizes forty-nine carefully chosen resources on diagnosing psychiatric disorders, treatment, and statistics on suicide and tips for prevention. One of the oldest directories on the Internet, Best of the Web offers helpful and friendly links to resources by Region and a list of academic publications. For kids and teens there is an informative sub-directory to help youngsters deal with their feelings and to cope with the stigma surrounding shyness and anxiety. If it’s a statistic you need, or the clinical definition of depression and its symptoms, it’s advantageous to consult the seven directories mentioned in this article. Bookmark them for easy access. With an authoritative compendium of support and services at your fingertips, these directories are a must-have for both general knowledge and specialized information.